There's no stopping our very own Sandara Park to superstardom. After her successful stint as one of the member of the Korean girl group 2NE1 and her team up with Lee Min Ho (Boys Over Flowers) in a tv commercial, Sandara now releases her first solo single in Korea! Kiss is the title of Dara’s first solo single in Korea. The upbeat pop song kinda sounds like “Cass”, the name of the beer Dara is endorsing together with Lee Min Ho. Their tv commercial for Cass has had a hundred kissing scenes that made their fans go gaga. 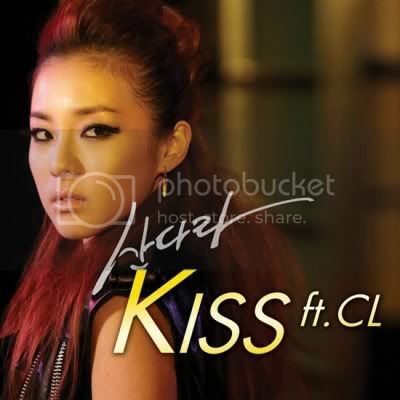 CL, Dara’s fellow member in the girl group 2NE1, was also featured in Kiss doing some rap. Aside from her music career, Sandara or “Dara” is now preparing for her very first starring role in a koreanovela. According to reports, Dara is set to star in the Korean romantic series “For the Rest of My Life” together with Jo Hyun Jae of Only You and Kim Yoo Gin of Save the Last Dance for Me. Listen to Dara’s Kiss HERE. Image and music courtesy of 21evo.